Ever since the 1918 Spanish influenza pandemic, scientists have dreamed of preventing catastrophic outbreaks of infectious disease. Yet despite a century of medical progress, viral and bacterial disasters continue to take us by surprise, inciting panic and dominating news cycles. From the Spanish flu to the 1924 outbreak of pneumonic plague in Los Angeles to the 1930 "parrot fever" pandemic, through the more recent SARS, Ebola, and Zika epidemics, the last one hundred years have been marked by a succession of unanticipated pandemic alarms. 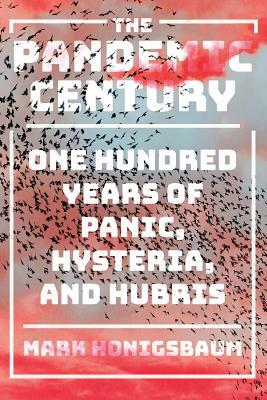 In The Pandemic Century, a lively account of scares both infamous and less known, Mark Honigsbaum combines reportage with the history of science and medical sociology to artfully reconstruct epidemiological mysteries and the ecology of infectious diseases. We meet dedicated disease detectives, obstructive or incompetent public health officials, and brilliant scientists often blinded by their own knowledge of bacteria and viruses. We also see how fear of disease often exacerbates racial, religious, and ethnic tensions--even though, as the epidemiologists Malik Peiris and Yi Guan write, "'nature' remains the greatest bioterrorist threat of all."